(Reuters) - Global demand for OPEC's crude oil will remain under pressure in the next few years, the producer group said in an internal report, potentially fuelling a debate on its strategy of defending market share rather than prices. The draft report of OPEC's long-term strategy, seen by Reuters, forecasts crude supply from OPEC - which has an output target of 30 million barrels per day (bpd) - falling slightly from 2015's level until 2019, unless output slows faster than expected in rival producers. 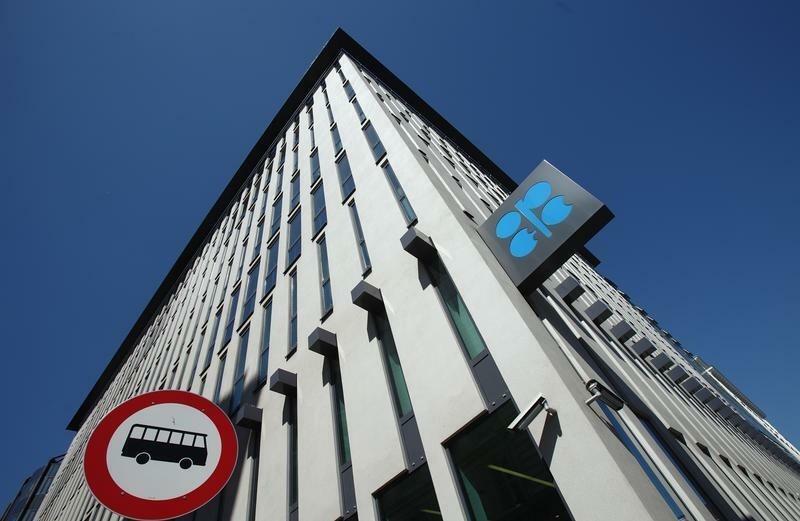 OPEC governors, official representatives of the 12 members of the Organization of the Petroleum Exporting Countries, met at the group's Vienna headquarters on Wednesday to approve the final draft of the report. OPEC's basket of crude oils is assumed in the report at $55 in 2015 and to rise by $5 a year to reach $80 by 2020. The draft report supports the view that OPEC's market share will rise in the long run as output of shale oil, also known as tight oil, and natural gas liquids (NGLs) is curbed. But a chart in the report also presents a scenario in which non-OPEC supply is more resilient, putting increased downward pressure on the group's market share and highlighting the uncertainty over future demand for OPEC oil. "The resulting range for OPEC crude in 2040 amounts to 9.4 million bpd, which highlights the challenges for member countries' long-term investment decisions." The long-term report, prepared by OPEC's research team in Vienna, traditionally cautions that it does not articulate the final position of OPEC or any member country on any proposed conclusions it contains.